The Indian Moon Moth Actias selene is Drop. Dead. Gorgeous. All Actias species are Drop. Dead. Gorgeous. They are some of my favorite moths and I would love to see even one in person someday. You see in the category of entomology it's my dream to see/hold one of these or ANY of the Actias moths. The Luna moth A. luna is also on my "Must have/see/hold before I die" list because as I said in terms of my dreams in the category of entomology I want to see one of these. I don't care what species it is. But I want to see one. The Luna moth is one of my favorites since forever. 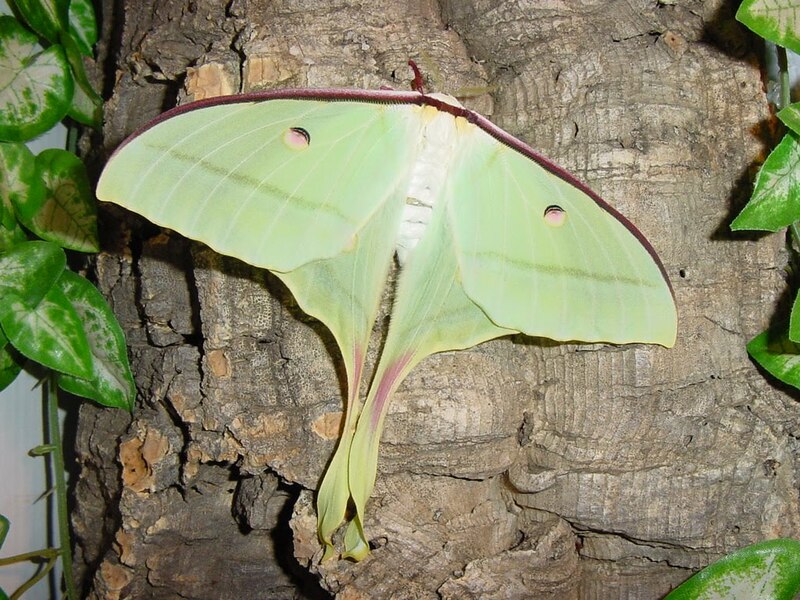 The Indian Moon Moth or Indian Luna Moth (Actias selene) is a species of moth. This species is popular among amateur entomologists and is often reared from eggs or cocoons that are available from commercial sources. They are also known to fly mainly at night. This moth is quite widespread, found from India to Japan and then south into Nepal, Ceylon, Borneo, and other islands in eastern Asia. Many subspecies live in Pakistan, Afghanistan, the Phillippines, Russia, China, Java, Sri Lanka, Sumatra and Borneo. This entry is dedicated to the lovely Selena. We love you. Until next time folks! Enjoy! hi there, do you have room to store a small bin? and time or the right place to find food plants? Because keeping these species is really very easy. I am now breeding Actias Selene, their eating rhododendron at this minute, and i have some giant atlas larvae coming in the summer, and you can buy these online, at www.heartofenglandbutterflies.com. that is if you live in the uk, although i'm sure there are other sites for places abroad. I have a blog, and you can see pictures of my latest brood. there doing well, and all they require is food, light and room temperature, which can even be as low as 16 degrees C. Hope this helps, and I can see you are really keen to do it. Aaaah thank you! Plastic bins are of no problem (thank you Lord for 99¢ stores :P). And just recently last year they planted Sweetgums outside my house. I remember reading somewhere that saturnids feed on these as well. Wonderful! *^^* I have my eyes set on these beauties rest assured I'll figure it out. This beautiful and unusual insect landed on a fence near my school duty post this morning in Ft Washington, Maryland. Unsure of it's origin a 2nd grade teacher helped this 60 yr old Phys Ed Teacher find out this was a moth not a butterfly...I took plenty of pictures and found more info on your web site...wow...what a beauty! I wish I could share my pictures with you.